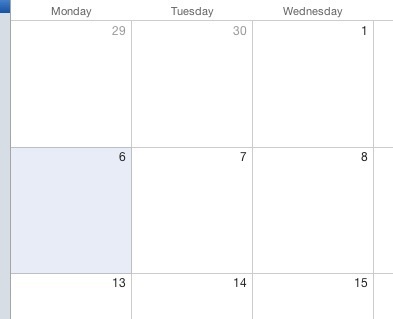 I love Mac OS X iCal, but there’s one thing that bugs me — the pale blue highlight that denotes ‘Today’ in the month view is all but invisible. There’s no way to tweak this colour in iCal and the best the internet could suggest was to tilt the monitor back a bit… In fact, looking at the screen from a lower angle does make the pale blue more obvious, but not obvious enough. While hunting around for a hack to fix this, however, I stumbled upon a partial fix. 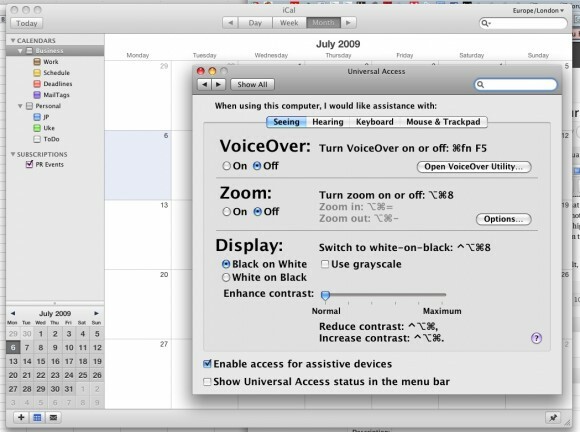 While poking around in Preferences for some iCal clues, I noticed that in Universal Access, the ‘Enhance contrast’ setting for Display was set half a notch off Normal and sliding it all the way to the left suddenly made iCal’s blue highlight much clearer (although it still disappears if you look at the screen from too high an angle). 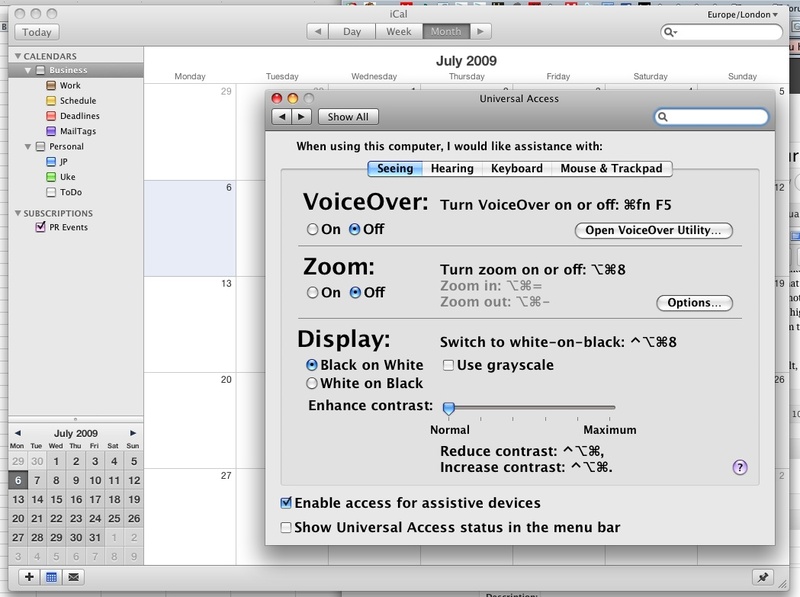 I don’t use Universal Access on my Mac, but it is enabled — TextExpander makes use of it. Posted in: Apple, How to, Mac OS.